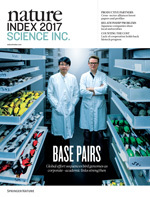 Nature periodically publishes articles that focus on aspects of science in the Asia-Pacific region. Below is a list of some of these features. Regional features that promote global acknowledgement of science in the particular county / region. Nature supplements are published in Nature and distributed around the globe. Various areas of Asia Pacific have been covered. Nanomedicine is on the frontline of Japan’s efforts to revitalise its economy, and it may pre-emptively solve some of the world’s toughest problems to boot. The future of vaccine research may be in Asia. Meet the sides of Japanese cities that most international researchers never see. How Kobe rebuilt itself after a devastating earthquake and turned into a biotechnology hub. Japan’s radical new program to boost just a handful of universities has precedents across the world. Businesses are increasingly investing in space exploration and development. In the age of genomic big data, the worlds of medicine and IT are rapidly colliding. Lower house prices, proximity to Tokyo, and a burgeoning R&D ecosystem are thrusting Kanagawa into the modern world from its ancient history. Scientists seeking to reverse or stall the effects of ageing are trying to make the leap from laboratory research to human trials. Japan's historical leadership in the field of nanocarbon research is being challenged. Learn how it’s fighting to stay on top of a field it pioneered. How Japan’s culinary revival could ease the burden of an aging society and breathe new life into an ailing agricultural sector. As science becomes increasingly globalized and collaborative, Japan is looking to bring more overseas researchers into the fold. Japan's Yamanashi prefecture has a lot to say for itself when it comes to cutting-edge R&D. The search for taste launched Japan as a food science pioneer. Now it leads a global drive to create functional foods, and opportunities abound for career-hungry researchers. Japan was the first country to commercialize the lithium-ion battery in the 1990s and is once again reasserting its market dominance with more efficient commercial lithium-ion batteries for automotive applications. This year, as Singapore hosts various events to mark its Golden Jubilee ― the 50th year since becoming an independent state ― it has a lot more to celebrate than its rapid social and economic development. Science has also been booming. Long recognized as producers of high-quality science, Australian institutions are striving to find better ways to translate research excellence into social, environmental and financial benefit. Japan is relying on international collaboration as a way to arrest the decline in its contribution to global science, but will it be enough? 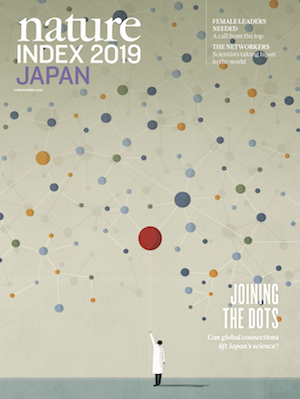 Nature Index 2019 Japan seeks answers to that question. China’s rise is the story of the century in science. Its scientific output has already overtaken that of the United States, but on measures of quality, such as articles published in the high-quality journals tracked by the Nature Index, it still has a big gap to close. Some exceptional disciplines, though, are leading the way to overcoming the quality deficit. 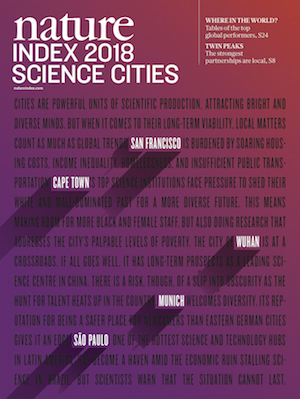 Nature Index 2018 Science Cities profiles five science cities that are leaders in their regions. But each is contending with problems of equity and engagement that need to be addressed to keep them strong. If ideas are the flames burning from the torches of discovery, scientists are the hands that hold them. Creative minds uphold the scientific enterprise. For every top ten country producer of Earth and environmental sciences except China, output has been declining. Climate change is the issue that looms largest. Has Japan’s contribution to high quality scientific output continued to decline? This supplement investigates the changing role of corporate institutions in the world of science and the costs and benefits to high-quality research of these evolving arrangements. This supplement reveals that the country’s output of high-quality research in the natural sciences has declined over the past five years, following on from long-term declines in federal funding for research and development. Science thrives in cities. With two-thirds of the global population projected to live in urban areas by 2050, cities will become even more distinctly the domain of knowledge and innovation. Saudi Arabia is already the scientific leader of the Arab world, but it is not standing still. Through investment in research and education – and a new focus on maximising the commercial value of its academic prowess – the country is beating a path to reducing its reliance on oil. This supplement examines the connection between high-quality research and the commercialization of new products and services. This report looks beyond China’s continued increase in publication output and examines how it holds up in other factors that contribute to a functioning research ecosystem. Japan’s status as a science superstar is vulnerable. 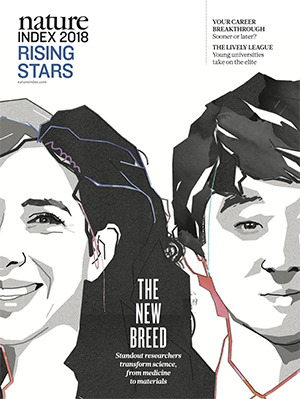 This supplement examines Japan’s efforts to arrest the decline and return to form as an innovative nation. The supplement highlights some of the most fruitful collaborations between institutions and countries, such as those resulting from the bonds between China and the United States. The supplement highlights these countries’ quality natural science research. This supplement identifies the ascendant performers in the world of science. In 2015 Saudi Arabia had the largest growth of its region in the production of high-quality research tracked by the Nature Index, propelling the country into a leading position. 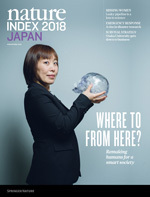 Japan is among the top producers of high quality research in the Nature Index, but new analysis reveals this position is being challenged. 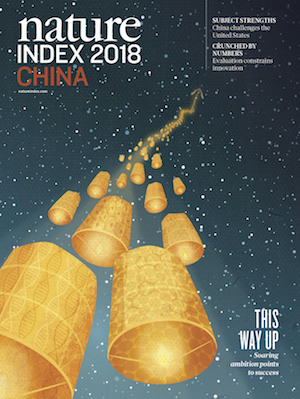 Nature Index 2015 China reveals the country’s output of high quality science continues to grow – a trend that shows no signs of slowing. The supplement paints a picture of global research partnerships and yields insights into the power and impact of joint research. Liver cancer is one of the most lethal forms of the disease: fewer than 40% of those who have it survive a year after diagnosis, even with treatment, and there are not many promising therapies in the pipeline. But if researchers can understand why some people with unhealthy livers develop cancer but others do not, they may be able to more effectively treat the disease — or even prevent it. 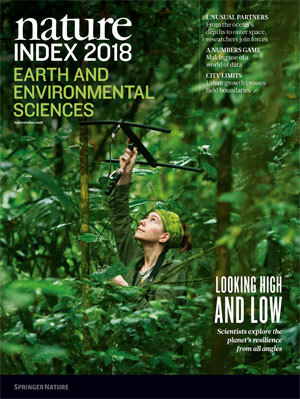 The Nature Index 2014 Global supplement provides a snapshot of results from the new Nature Index, comparing the countries and institutions around the world that contributed to some of the highest quality research during the previous calendar year. A simple grain with global impact, rice has helped to build empires and fed revolutions. Now, scientists are starting a rice revolution of their own to feed a hungry world. By decoding genetics, improving breeding and, perhaps, reshaping the plant’s biology, researchers are working to take the world’s most vital crop into the future. The issue of how to evaluate the fruits of academic research confronts scientists and policymakers all over the world. Each country has its own set of circumstances depending on its research infrastructure and wealth as well as its economic, environmental and developmental objectives. Australia and New Zealand might be neighbours, but their programmes of research assessment are very different. Focusing on the tools and methods used to measure the quality and impact of science in Australia and New Zealand should inform similar debates throughout the scientific world. What road ahead for Korean science and technology? What magic formula for success?